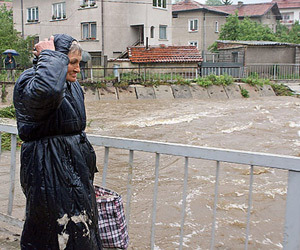 Tornado and hail stroke Bulgaria's villages of Yoglav and Gumoshtnik on Tuesday, causing serious damages to dozens of houses.The roofs of numerous of houses were blown by the strong winds in Yoglav. There are also demolished chimneys in the village.Three people have been injured as a result of the hail, which fell in the village of Gumoshtnik. One man has a head trauma and two women were wounded in their arms.All the vehicles that were parked in the open were smashed.